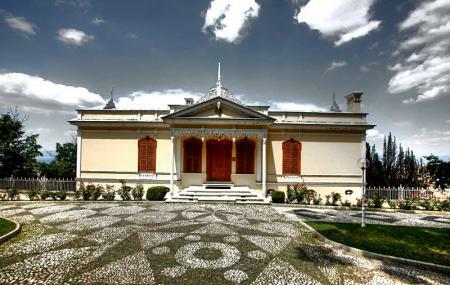 Hunkar Kosku also known as Sultan’s Mansion Museum is a home turned museum that now serves thousands of visitors every year. It was initially established as a hunting lodge for sultans of ottoman empire and now embodies numerous furniture and artifacts of that time. Tourists visiting the place can go through the possessions and then dine in the garden overviewing the city. The splendid view and reasonable price rates only adds to its ardor leaving a lasting impression on your mind. Any time of the day is suitable for visit. How popular is Hunkar Kosku? People normally club together Tofa's Bursa Museum Of Anatolian Cars and Yesil Cami while planning their visit to Hunkar Kosku.